The quest to join the Illuminati cult and become rich, has led a 21-year-old man in Uganda, Herbert Were, to behead his six-year-old brother as a condition to joining the dreaded cult, NTV Uganda reports. The police in that country said Were beheaded his kid brother named Joel Ogema, at their residence at the Busia district on the Kenya-Uganda border, an he had confessed to the brutal murder of the kid, saying he was instructed to do so by a member of the Illuminati in Kampala, to enhance his membership. 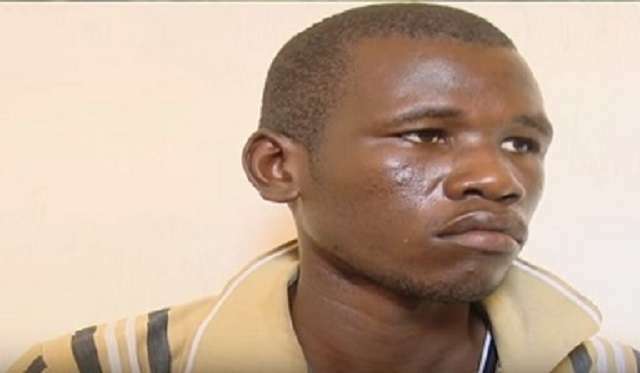 ''Herbert Were was arrested in the Kajjansi District on suspicion of beheading his brother after someone had promised him that he would be recruited by the Illuminati. Herbert took his six-year old brother from his parents’ home in Busia and took him to Bugiri where he cut off his head. By the time of his arrest in Kajjansi, Wakiso district, the suspect was looking for the person who had promised to have him recruited in order to get wealth. One of the messages on Were's phone said the meeting was to be held at a club in Kansanga. Were has told us that he cut off his brother's head but we arrested him on the way to meet the alleged Illuminati member who had asked for the head. Were had spent the night in a friend's house after killing his brother and was found out when he fell asleep in the friend's place. The friend who was suspicious of Were, decided to check the bag and was shocked when he saw a fresh human head. The friend ran to the police and reported the matter, leading the police to arrest the suspect who immediately confessed that he was responsible for the head in the bag and even told police about the person he had been communicating with on phone and Facebook about the head. He said that he had connected to the Illuminati on Whatsapp and their alleged point man told him that if he wanted to get rich, he should take him a head of a human being. Later they started communicating on phone." Enanga added that a popular music promoter based in Kampala, Jeff Kiwanuka, has also been arrested in connection with the murder on suspicion that he was the Illuminati point man who gave Were instructions to bring him a human head.